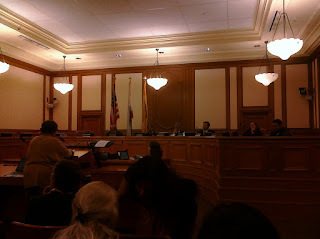 MW Mobile Blog: Item 10: Sharp Park Seawall is up for consideration. 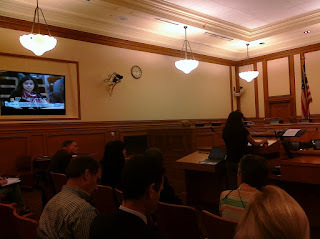 Item 10: Sharp Park Seawall is up for consideration. Four hours after I arrived here. Note to self: Next time - pay attention to the agenda before I get here. Dawn Kamlanathan is reviewing the engineering report of options for repairing and armouring the sea wall. We then move directly into public comment. Stumbled through my comments but think I got out what I wanted to say - sort of. After public comment, Dawn explains that the this is the beginning of a process that may take two years - including Environmental Impact Reports - determining funding sources - public comments -and many many hearings. All the more reason to proceed with the A18 option for Sharp Park now. The frog and snake cannot wait. The course cannot wait.